Simply put – getting stuff done! 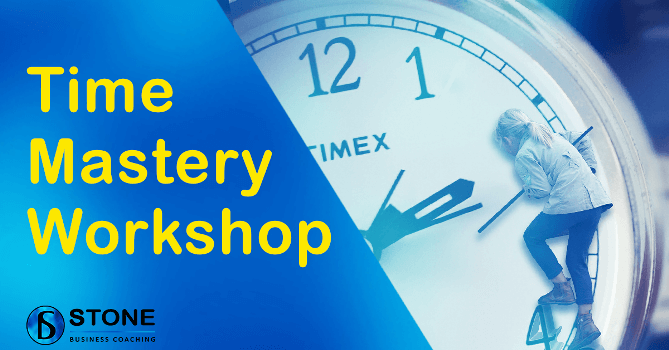 This workshop will be excellent for employees, managers, owners, workers … anyone in a work or business environment who want and need more time in their day. One client (the business’ BDM) I work with saved TWO hours in every one of his days; he now has two more hours available to sell. Another client (with 5 business owners) each saved 1 hour per person per day. That’s 25 man hours every WEEK they saved. We all have room for improvement … come and see how. Included: Training, morning tea, handbook and practical expertise shared. Numbers are strictly limited to a maximum of 6. Small group = better value for you! Make a change; book today!